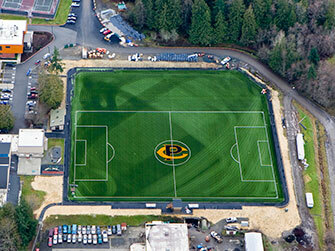 Sigmar Field, located on the west end of Peninsula’s Port Angeles campus, was constructed in 1999 and remodeled with an artificial turf surface in 2010. The field is named after the late Peninsula College President Dr. Wally Sigmar, an NWAACC Hall of Fame inductee who was instrumental in bringing intercollegiate sports back to Peninsula College in 1997. The field is 110 yards long by 72 yards wide. It includes a warm-up space on the south side, a two-story press box, a concession booth, restrooms and a walking track. The field is open to Peninsula College students and staff. Community access is available through various leagues, camps, activities and rentals. The Peninsula College gymnasium was constructed in 1967 and has been well maintained and upgraded throughout the years. Recent improvements (2013) include an officials changing room, a training room, a concession room and remodeled restrooms. It seats approximately 400 fans and is commonly full when the Pirate basketball teams are home. 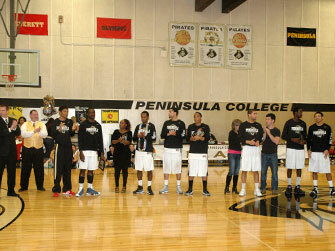 The gym is open to Peninsula College students and staff. Community access is available through various leagues, camps, activities and rentals. The Peninsula College Fitness Center opened in January of 2013. It was funded largely by the Associated Students of Peninsula College. It features an array of state of the art Precor cardio machines, Concept II rowing machines, Precor strength training stations and free weight stations. 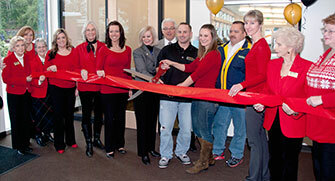 The fitness center is available to all Peninsula College students and staff.